Home > Pregnancy > Can Eating Fish During Pregnancy Help Increase Your Child’s IQ? Is it time to add more fish to your diet? When a woman is pregnant, she wants to do all she can to ensure the health and well-being of the baby growing inside her. 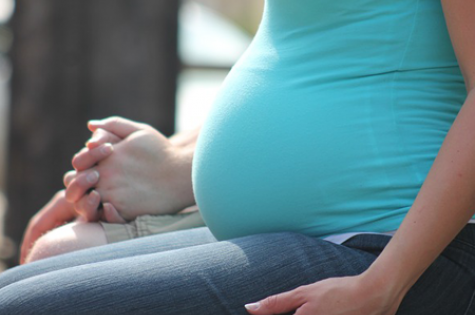 Proper prenatal care is imperative both for the baby and for the mom. One of the best things expectant mothers can do is to eat a healthy well-balanced diet that provides enough nutrients for them and their developing baby. There has been a lot of talk as of late regarding the consumption of fish during pregnancy and whether or not it can actually help with a baby’s development in terms of their IQ. Is eating fish during pregnancy good for the baby's brain development? If so, how much should be consumed? Let's take a closer look. We all know that whatever an expectant mother consumes, the baby also benefits from. This is why it's so important to steer clear of things such as alcohol and cigarettes that can be harmful to the baby's health and development. Just as the negative items can have a negative effect on the baby, it makes total sense that the healthy choices will benefit the baby. Research conducted in Spain focussed on how eating fish on a regular basis affects growing babies, and the results were interesting, to say the least. For those women who consumed a few servings of fish each week, their babies ended up scoring higher in cognitive function by the age of five. The research also went on to show that those same babies had less autism-spectrum traits. How Much Fish is Necessary? Now in terms of how much fish these women were eating, the average amount was about 500 grams of fish each week. This works out to about three servings a week. The most common fish that the women were reaching for were fatty fish such as albacore, swordfish, tuna, and then smaller fish like salmon, anchovies, sardines, and mackerel. On the flip side, there were no negative benefits when the women ate more than the recommended amount. The study didn't show any signs of bad ingredients or mercury issues, as discussed in a story on light house news daily. Why is Fish Proving to Be Beneficial? According to researchers, there are a number of reasons consuming fish can be beneficial. Typically, we are told that consuming fish is wise because it contains omega-3 fatty acids. These are known to reduce the risk of heart disease. Research also goes on to show that it can help children under the age of three with their cognitive development. Outside of the cognitive development angle, further research has shown that consuming fish in the second and third trimester can help with the child's vision. So, as more and more research is released supporting the claims that consuming fish while pregnant can benefit the baby, it seems as though it may be time to add more fish to your diet. This also approaches that five people out of one thousand who don’t have the virus may also have the wrong statistics approximately having antibodies to HIV. That is why you must cross for a 2nd test to confirm the result in case you get a Medical Testing fantastic analyzing. Are you giving your kid the right nutrients?